Politicians have given their thoughts on comments made by the European Council president today, in which he claimed there was a "special place in hell" for those who promoted Brexit. Speaking in Brussels, Donald Tusk said: "I have been wondering what the special place in hell looks like for those who promoted Brexit without even a sketch of a plan how to carry it." His comments have sparked debate across social media and beyond, and have divided some MPs and others in the political sphere. WATCH: Peter Bone calls Tusk's comments "outrageous"
Conservative MP Peter Bone raised Donald Tusk's comments in the House of Commons during Prime Minister's Questions. Mr Bone - who is a vocal Brexiteer - said that he thought the comment was an "outrageous insult". Responding to his concerns, Speaker of the House John Bercow branded Mr Bone a "delicate flower". UKIP leader Gerard Batten took to Twitter to air his grievances. The politician shared a BBC article about the comments along with the caption: "Oh dear, oh dear, Mr Tusk is getting overwrought. And he seems to have forgotten that in Dante’s Inferno the lowest level in Hell is reserved for traitors. "Those who want the country governed by a foreign power are traitors." The DUP's Brexit spokesman accused Tusk of being a "trident wielding Euro maniac" in a statement released on Twitter. The politician claimed the comments had revealed the European Council president's "contempt" for those who voted for Brexit. He added: "It is Tusk and his arrogant negotiators who have fanned the flames of fear in an attempt to try and overturn the result of the referendum." Mr Wilson's "trident" comment sparked the imagination of some Twitter users, who have been superimposing a trident on pictures of the EU official since the statement was released. 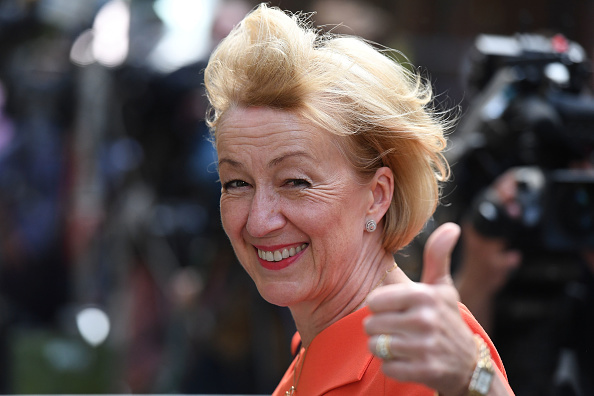 Conservative Anna Soubry came to the defence of Tusk, claiming he had been "wildly misquoted". "He was speculating about the people who led Leave, not the millions of good people they conned with fake promises they cannot deliver on," Ms Soubry wrote on Twitter. In an earlier tweet, the politician said that the European Council boss was "#TellingItAsItIs". The House of Commons leader branded Tusk's comments "pretty disgraceful" during an interview with the BBC. "I think that what he has said is pretty unacceptable and pretty disgraceful," she said. "I'm sure that when he reflects on it he may well wish he hadn't done it." She added: "It's supposed to be collegiate and collaborative, and it totally demeans him to stoop to such a spiteful tweet." Staunch Brexiteer Nigel Farage implied Tusk of being an "arrogant" bully in the wake of the comments. "After Brexit we will be free of unelected, arrogant bullies like you and run our own country," he wrote. He added: "Sounds more like heaven to me." 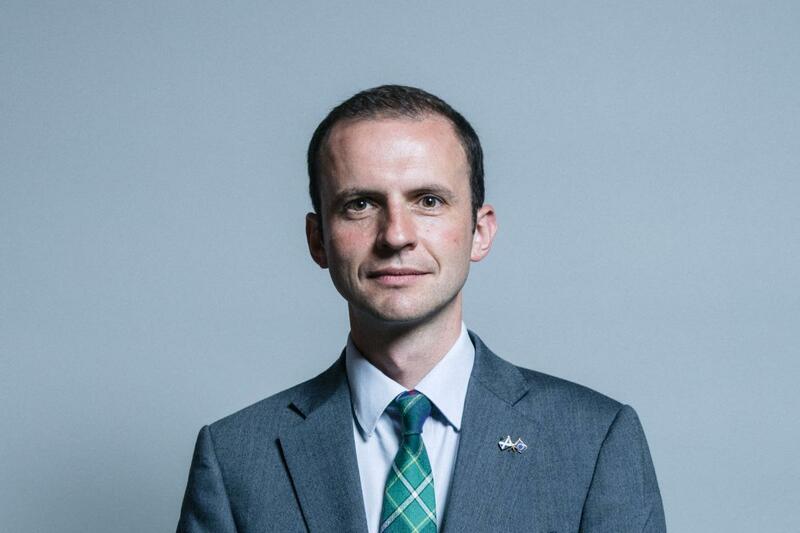 The Scottish National Party's foreign affairs and Europe spokesperson, Stephen Gethins, applauded Tusk's remarks, claiming he had "hit the nail on the head". Mr Gethins accused those at the helm of the Leave campaign of being "charlatans and chancers", before attacking both the Conservative Party and Labour Party over Brexit. "We are facing the worst crisis in peace-time because of senior government figures failing to hold themselves to account for their actions or have a plan for what comes next other than holding the Tory party together," he said. "All the while the Labour party acts as a willing accomplice in inflicting this economic devastation."